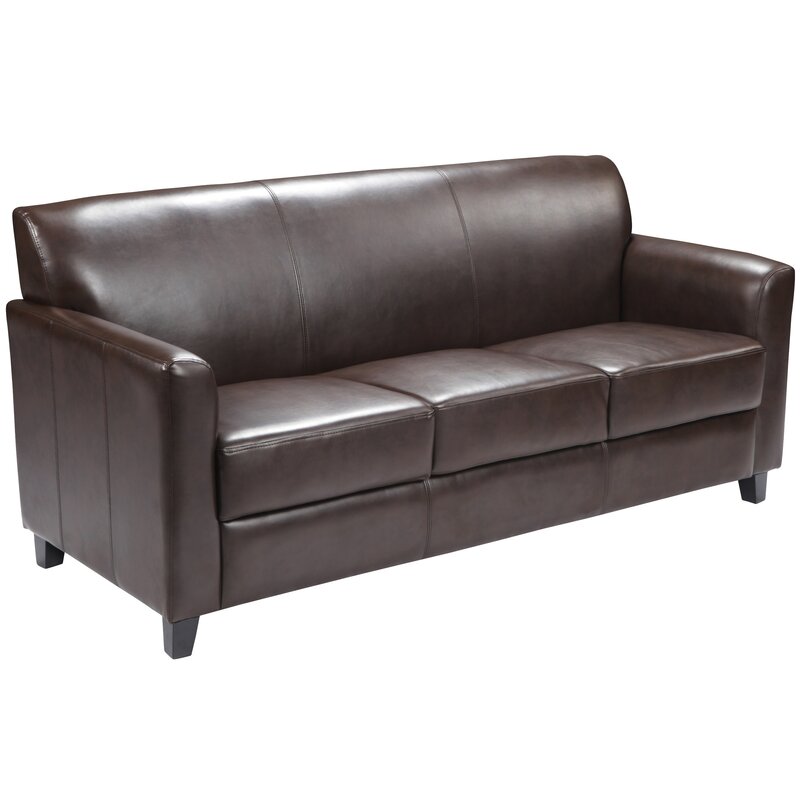 Available in several colors, this bonded leather sofa will add style to your home. The modern design of this furniture with a solid pattern makes it complimentary for most decor. This sofa features comfortable cushions, flared arms and raised feet. Not only will this sofa fit in a professional environment, but will add a modern look to your home.